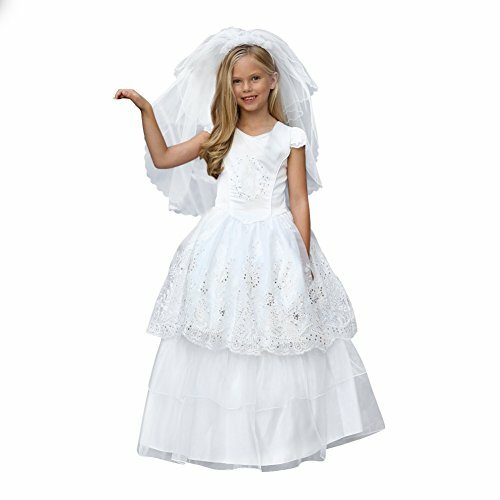 Elegant dress for Communion and festive events from Angels Garment. Two dresses in one ? wear it long to the ceremony & take off the ruffle underskirt for a knee length style for the celebration afterwards. Intricately embroidered organza on skirt and a rhinestone accented embroidered image of "Our Lady of Guadalupe" on bodice. Adjustable lace up corset back. Fully lined with ruffle netting attached. An optional petticoat can be worn for a fuller look.